If I see either of two things I officially declare that spring has sprung. One of them, my first migratory Eastern Phoebe of the year, has not yet happened this year. (Though I did see an overwintering bird way back on the eighth of January.) 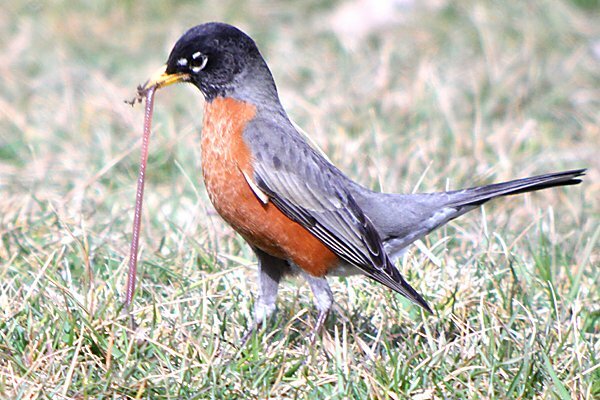 Yesterday I did see the other of my two signs of spring, an American Robin pulling a worm out of the ground. 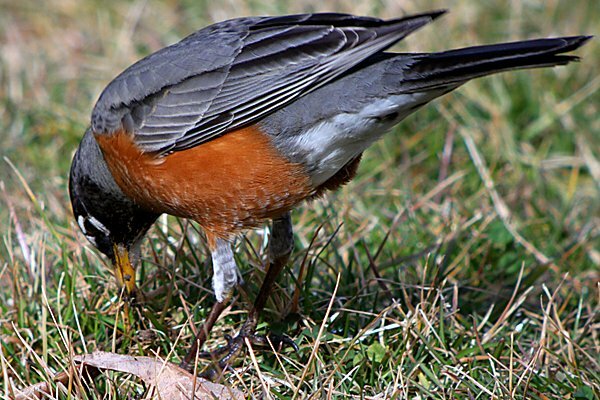 I stopped at Van Saun Park in New Jersey’s Bergen County and there was a whole field full of robins and all of them were pulling worms. 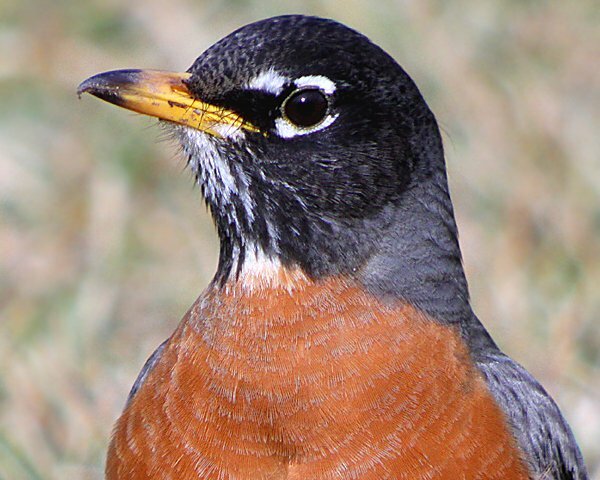 So, of course, I got out my digiscoping rig which I had thoughtfully brought with me when I realized that the weather forecast was for sunny skies and temperatures reaching seventy degrees Fahrenheit, and spent twenty minutes watching, digiscoping, and just plain enjoying those robins. What are your signs of spring? Or, for those in the southern hemisphere who are descending into winter, what are your signs of fall falling? In southern Germany, my sign of spring is the return of the Red Kites. Bird 3 from the top looks like nigrideus–very cool. In Mi. 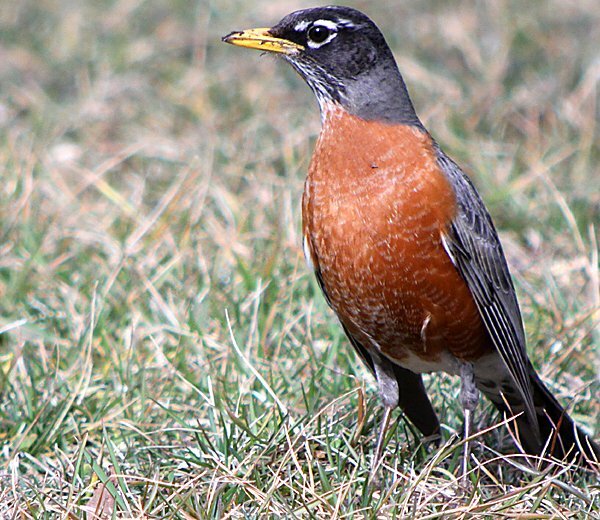 and we have seen a few Robins around even though we are still getting snow. I also saw a Red Winged Blackbird 2 days ago. As usual, love the photos. My sign of spring is when the House Finches start singing in earnest. 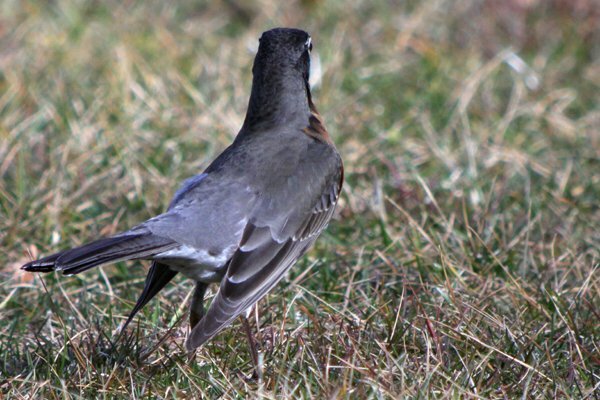 In California, usually the return of swallows and Allen’s Hummingbirds. They are usually a good month ahead of the next batch of arrivals though. 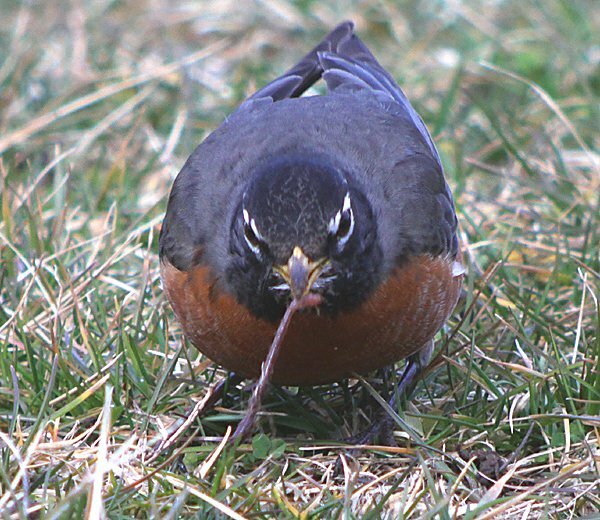 Robins on lawns and grackles are my two signs of impending spring. Chimney Swifts are the bird that makes it feel like spring is really here to stay though. Red-wing blackbirds, check. Grackles, check. Spring is just about here! 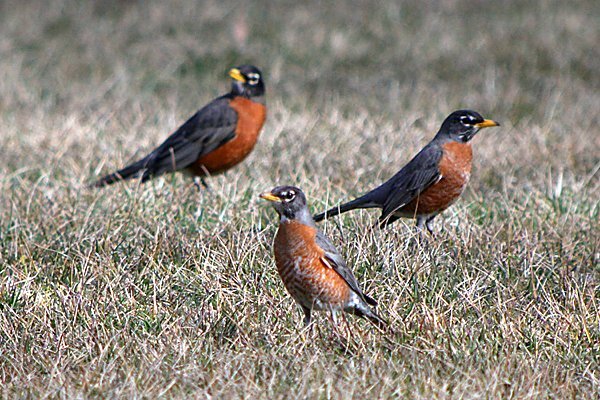 And @Corey, those are some skinny Robins … must have been a hard flight back!